This Muslim Girl Bakes: Sunday Cravings: June, In Season. Sunday Cravings: June, In Season. Guys, welcome to my new Sunday series. Firstly, let us pray that Insha Allah, I am consistent with it and don't get bored too soon. Because if I'm bored, then you guys will definitely be bored! 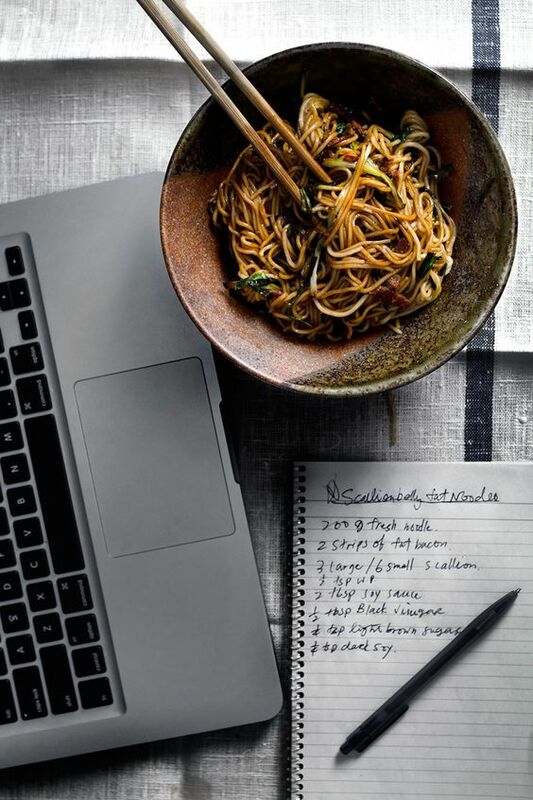 So, the plan is to share a post with you every Sunday rounding up recipes based on one ingredient/dish/occasion. Most likely it'll be what I'm craving that week hence the name - Sunday Cravings. The recipes will be from my blog and from around the web. And, the topics will be anything and everything. I've already been brainstorming for next week and have so far come up with: porridge, cream cakes and tomato pasta. So, yes. Expect the unexpected. 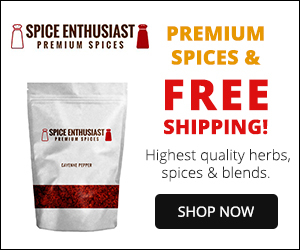 This week, it being the first Sunday of June, I thought I would do a post rounding up recipes that use in-season June ingredients. You guys, I have been trying my absolute hardest to eat things when they are in season. I feel that ingredients lose their value when they are available all year round. For example, summer in our house just wouldn't be summer without a giant glut of cherries, strawberries and of course, Pakistani mangoes. It's what makes this time of year so special. So, every month, using this chart, I make a list of recipes that I want to try out with what is in-season. This time, June. Let's do this! 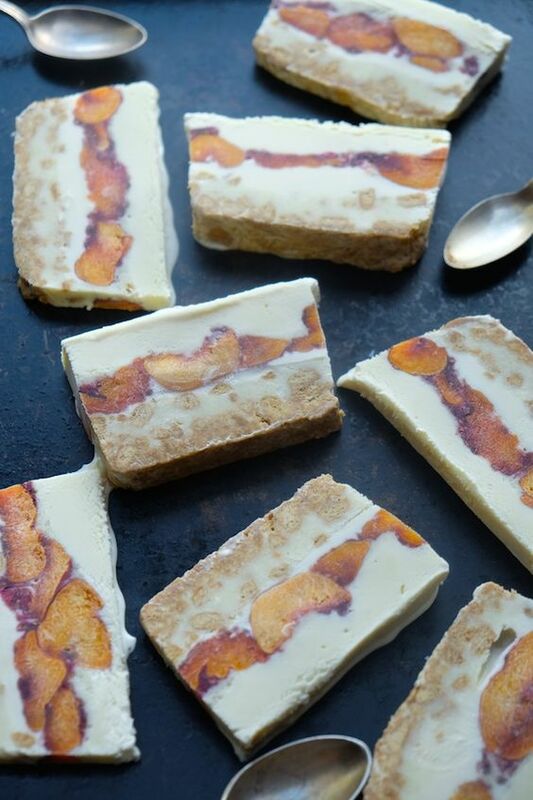 Apricot: it takes centre-stage in this Apricot Raspberry Ice Cream Cake. get the full recipe here! 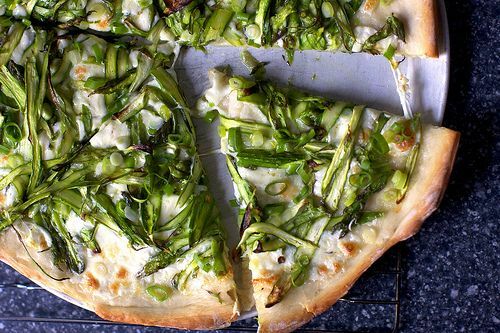 Asparagus: this Shaved Asparagus Pizza caught my eye. I would use Cheddar instead of Parmesan to keep it vegetarian. get the full recipe here. plus this is the recipe that I used to make the pizza above! it was so good! on this blog, I baked an Asparagus And Chicken Pie back in the summer of 2013. get the full recipe here! 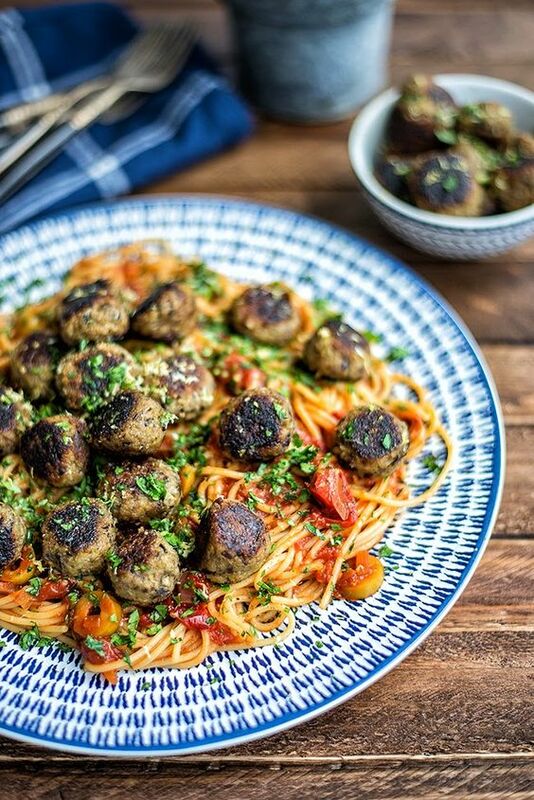 Aubergine: put them into these delicious-looking Vegan Aubergine 'Meatballs'. get the full recipe here! 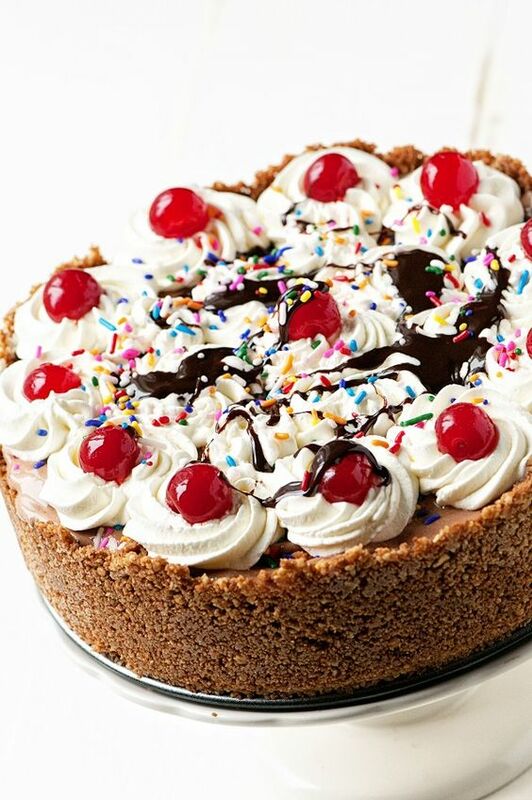 Banana: I'm dying to give this Banana Split Sundae Cake a try. get the full recipe here! an old blog recipe using bananas are these Everyday Banana and Oat Cookies. get the full recipe here! 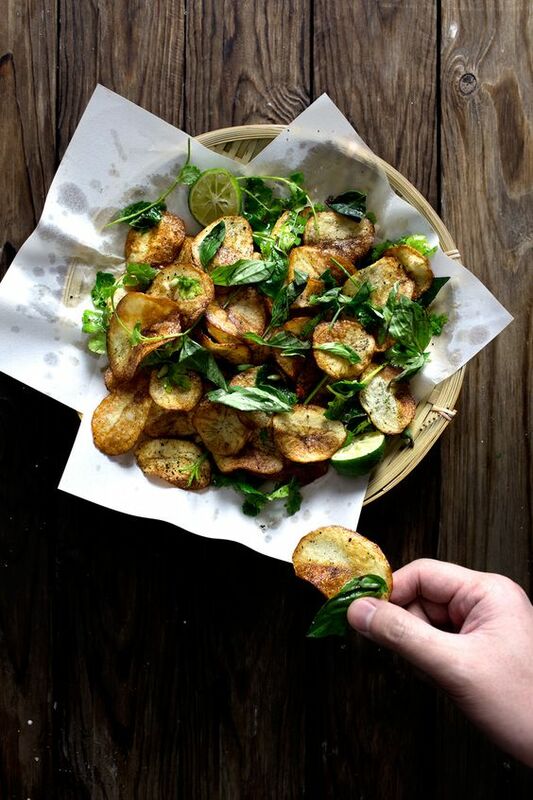 Basil: one of my favourite herbs and here, it gets used in a Potato Chip and Thai Herb Salad. I mean, come on. crisps in a salad?!!! get the full recipe here! one of my favourite blog recipes using basil are these super-quick Spicy Coconut + Basil Rice Noodles. get the full recipe here! 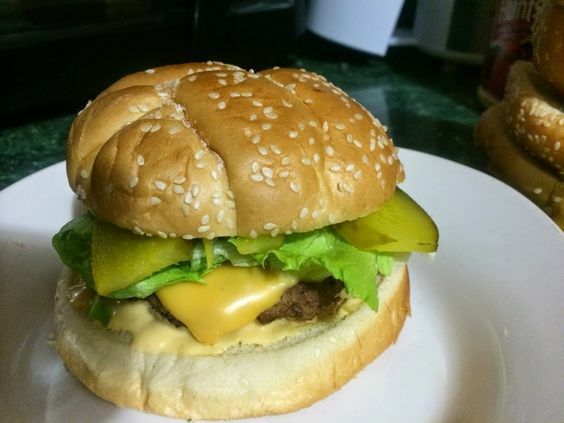 Beef: you cannot get better than this Ultimate Spicy Beef and Cheese Burger. get the full recipe here! 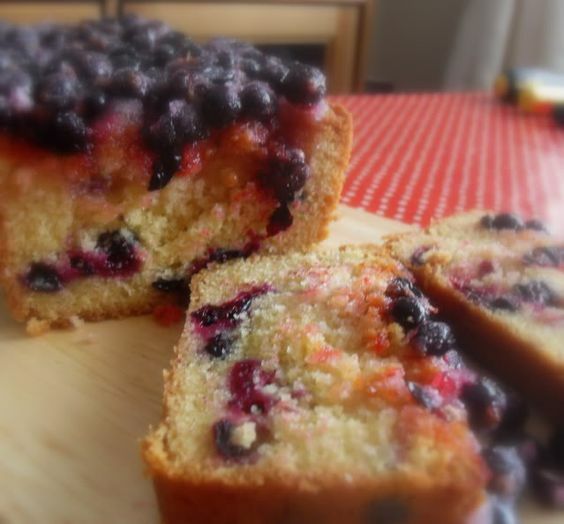 Blackcurrants: if you're lucky enough to get fresh ones, use them to bake this Blackcurrant Drizzle Cake. 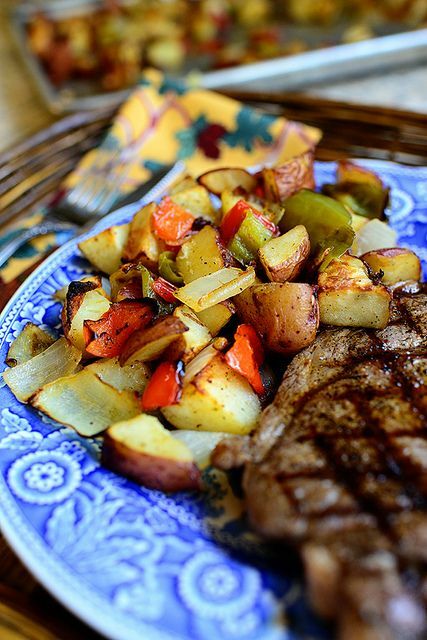 get the full recipe here! Broad beans: are you a fan? 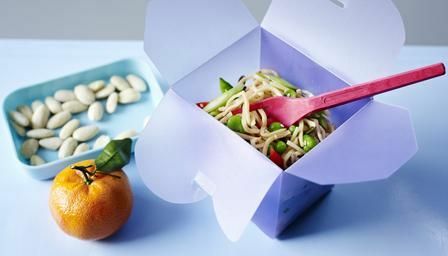 I've not eaten them in years and would love to try them in this Seedy Sesame Noodles with Peas and Broad Beans. get the full recipe here! 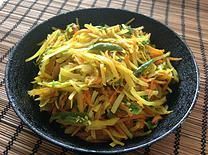 Cabbage: one of my favourite vegetables gets a Bengali twist in this Carrot and Cabbage Bhaaji. get the full recipe here! Carrots: have they ever looked this good?! 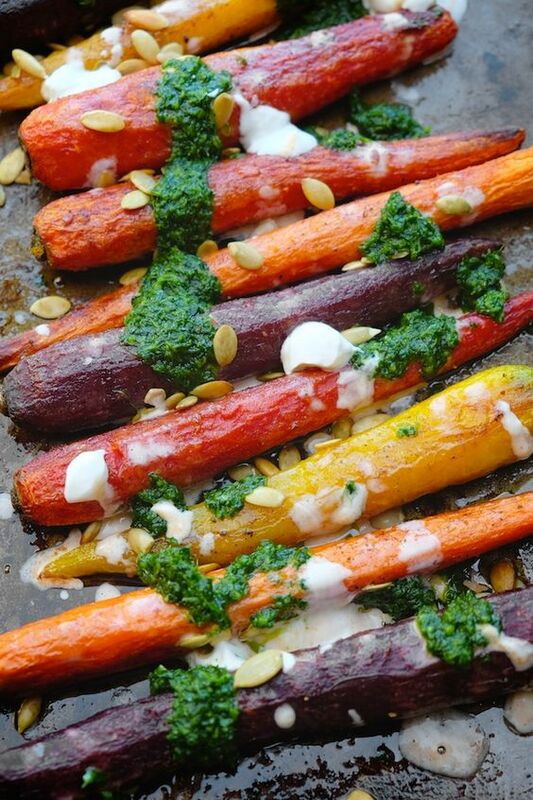 I am dying to try these Roasted Carrots with Yoghurt and Coriander Sauce. get the full recipe here! Cavalo Nero: fried here with potatoes until crispy, salty and crying out for an egg on the side. 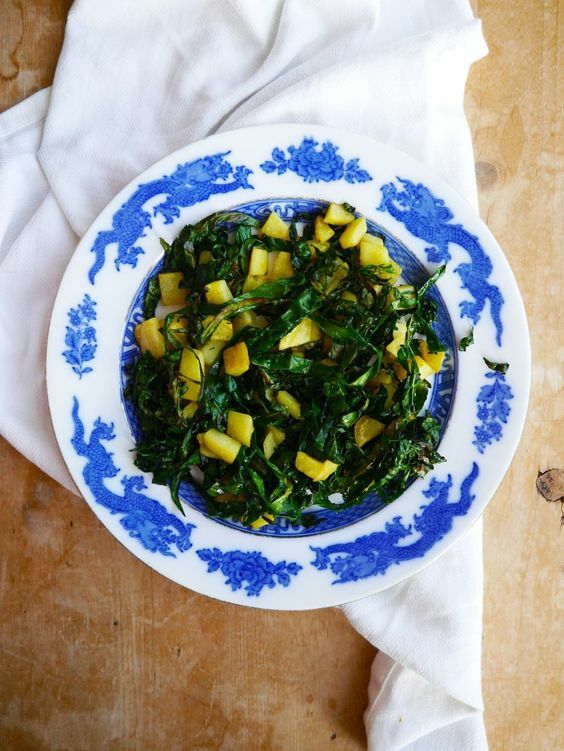 I would add some ground cumin for an extra kick to these Crispy, Salty Potatoes with Cavalo Nero. get the full recipe here! 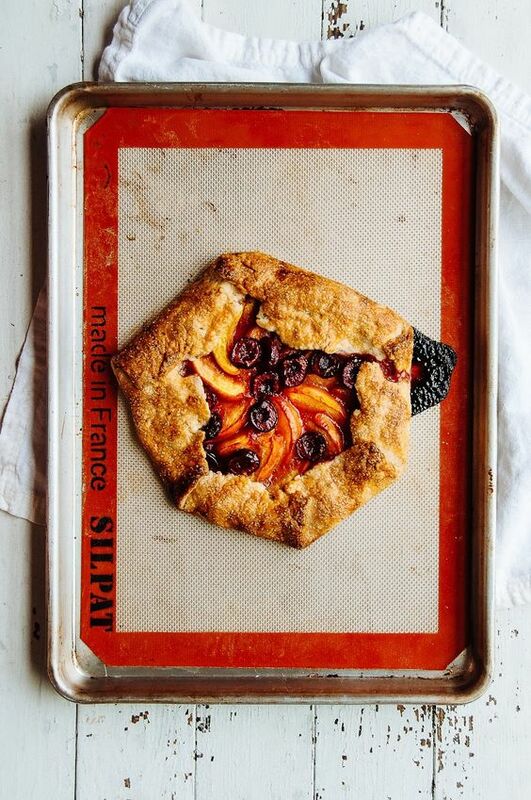 Cherries: we love our summer cherries in this house and this Cherry and Peach Galette looks like it may make an appearance this year. get the full recipe here! and, the cherry season wouldn't be complete without these Brown Butter Cherry Bars making an appearance. get the full recipe here! 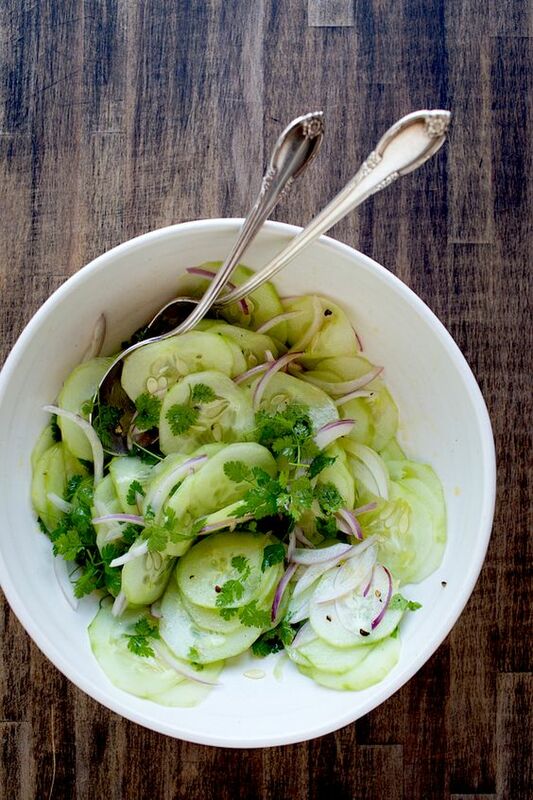 Chervil: a herb that looks so fresh in this Cucumber Chervil Salad. get the full recipe here! Chicken: so, I have two entire Pinterest boards dedicated to my favourite meat. one for basic chicken and the other for the baked roasted kind. speaking of baked, this one for Pablo's Chicken is one that I must try very soon. full recipe here! 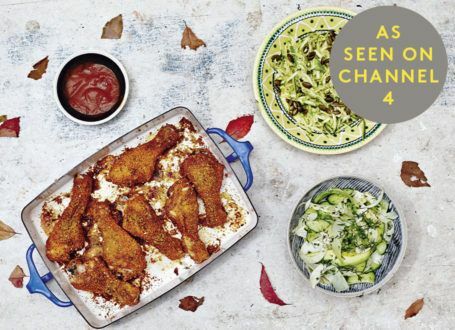 from my own blog, I need to make this Sticky, Spicy Chicken with Pea + Cinnamon Rice immediately! full recipe here! 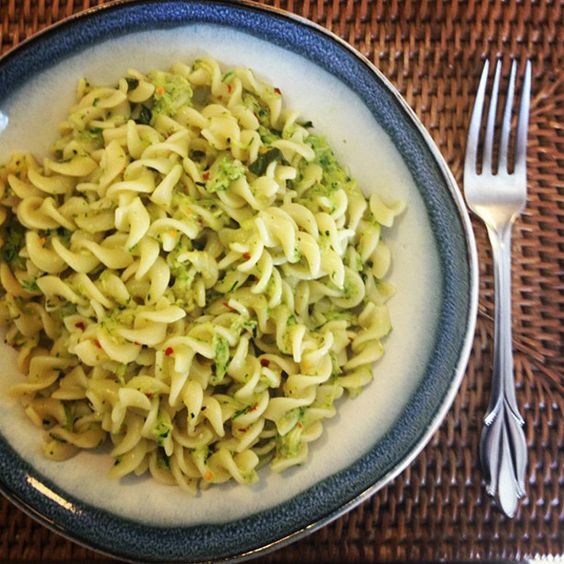 Courgette: it's used in this Pasta with Courgette, Lemon and Chilli and I think it will satisfy any summery pasta craving. full recipe here! 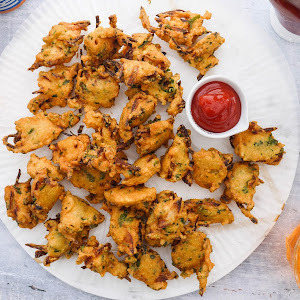 Courgette Flowers: which I've never tried. but you guys, how pretty are they? 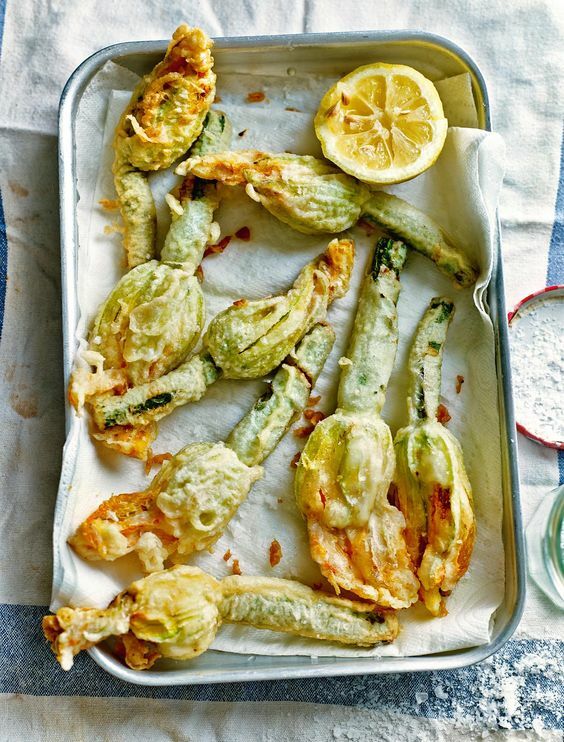 if you can get your hands on some then make these Deep-Fried Courgette Flowers stuffed with Ricotta and Herbs. full recipe here! 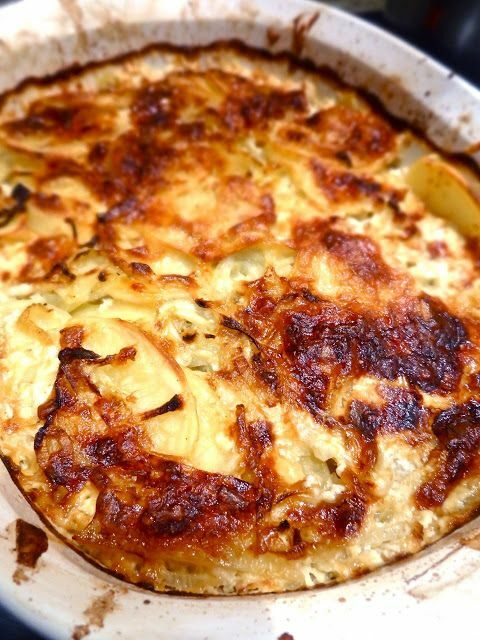 Fennel Bulb: I'm not a fan of this raw so would definitely put it into this - Potato, Fennel and Gruyere Gratin. if you can't hold of Gruyere cheese, just use Cheddar. full recipe here! 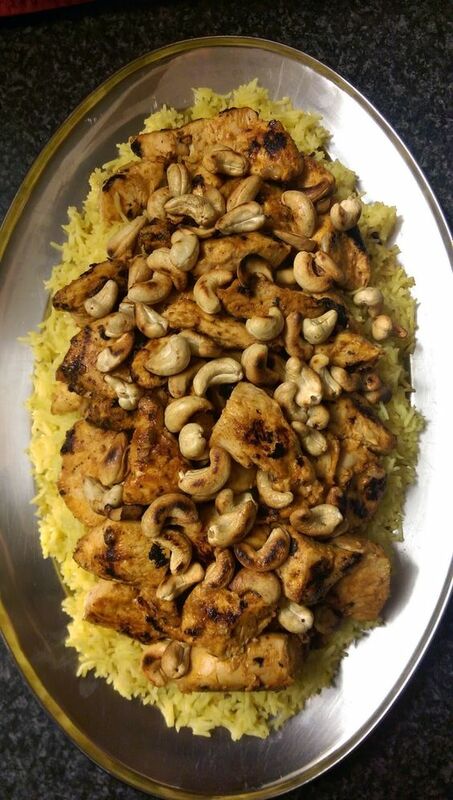 Garlic: we are big fans of the stuff in this house and will definitely be trying this Garlic and Lemon Marinated Chicken over Saffron Rice. full recipe here! from this blog, a Garlic Salad Raita. I know everyone will sway towards the chicken sindhi biryani, but the raita is one of my all-time favourites. full recipe here! Globe Artichokes: how pretty are they? 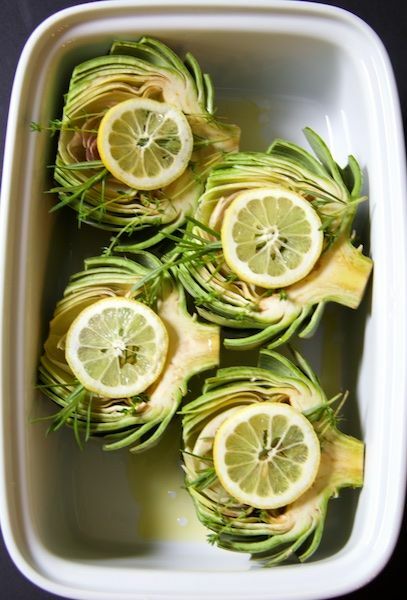 I've only tried the jarred artichokes which we used in toast melts but if you can get your hands on the fresh stuff, try this: Oven-Roasted Artichokes with Roasted Garlic Butter. full recipe here! 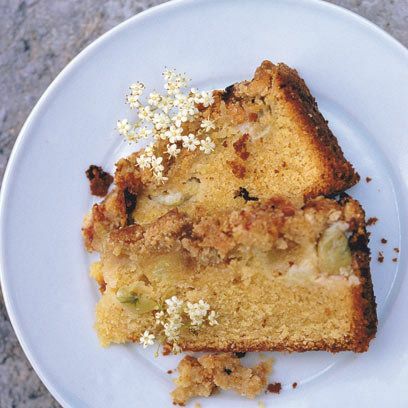 Gooseberry: these tart berries are sweetened up in this Gooseberry Crumble Cake. full recipe here! 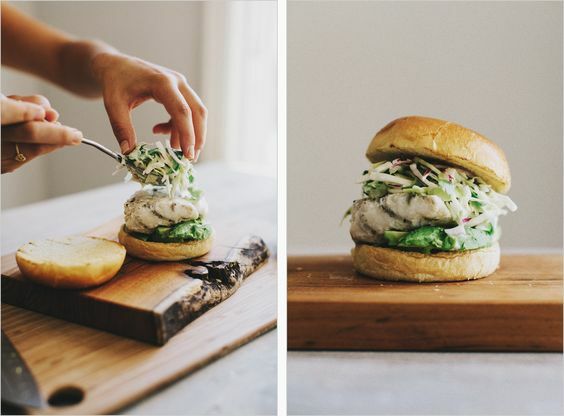 Halibut: the white fish is used perfectly in this summer sandwich: Grilled Halibut Sandwiches with Jalapeno Slaw. if you can't get halibut, any other white fish will do as will salmon - yum! get the full recipe here! 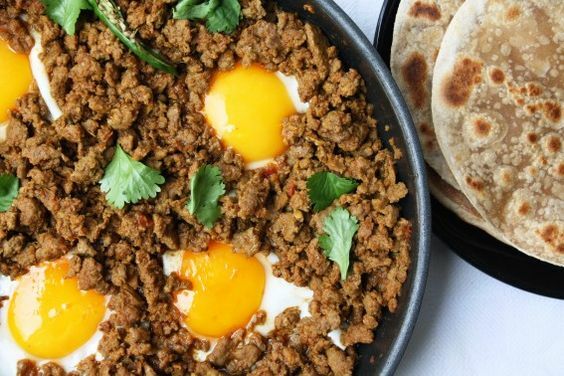 Lamb: a family favourite and speaking of family, mine would love this Parsi Spiced Minced Lamb topped with Fried Runny Eggs. yes! get the full recipe here! from this blog, we recently cooked this classic Lamb Potato Curry again. it was everything. get the full recipe here! 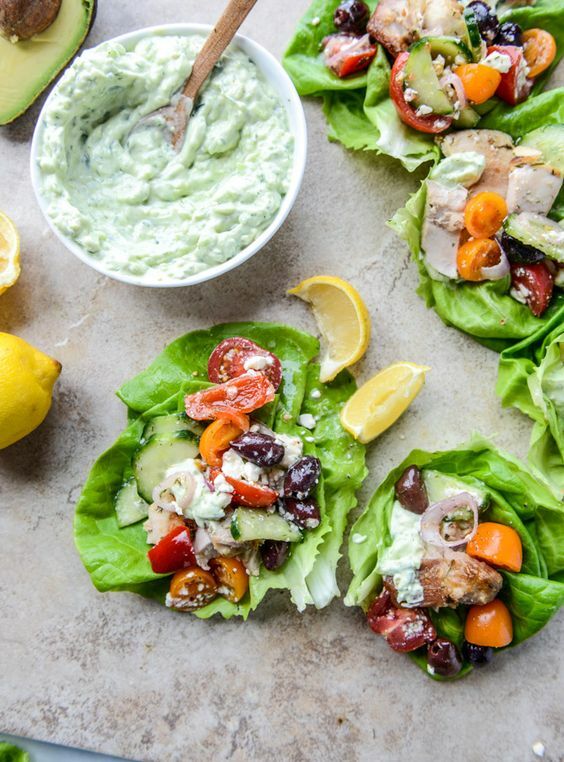 Lettuce: get yourself some fresh lettuce and make these super-summery 30 Minute Greek Chicken Lettuce Cups with Avocado Tzatziki. get the full recipe here! 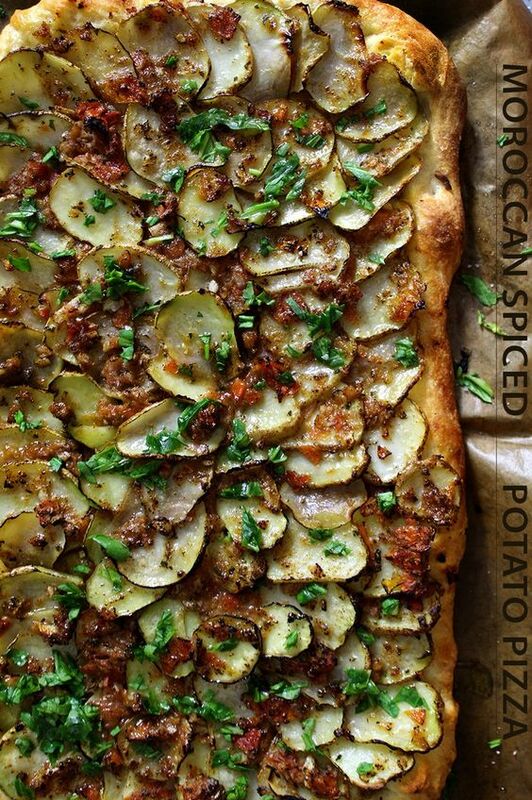 Mint: you guys, this Moroccan Spiced Scalloped Potato Pizza is calling me. let's both make it! get the full recipe here! 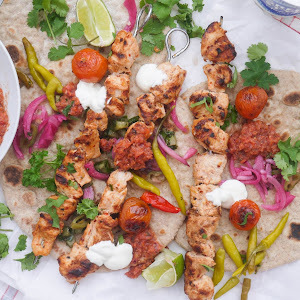 from this blog, I'm dying to make this Chicken Marinated in Chilli Garlic Oil with Chickpea Greek Salad + Minty Greek Yoghurt again. 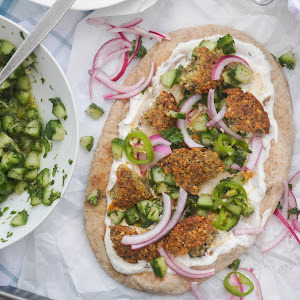 eat it as it is or wrap up in soft flatbreads - yum. get the full recipe here! 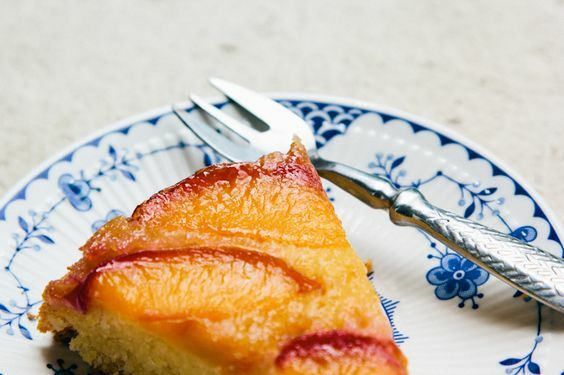 Nectarine: the soft fruit looks like perfection in this gluten-free Nectarine and Polenta Upside-Down Cake. especially if you serve it with vanilla ice cream! get the full recipe here! 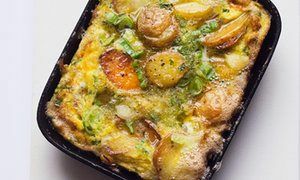 New Potatoes: one of my Spring favourites is made into a quick frittata with fresh spring onions - New Potato and Spring Onion Frittata. get the full recipe here! 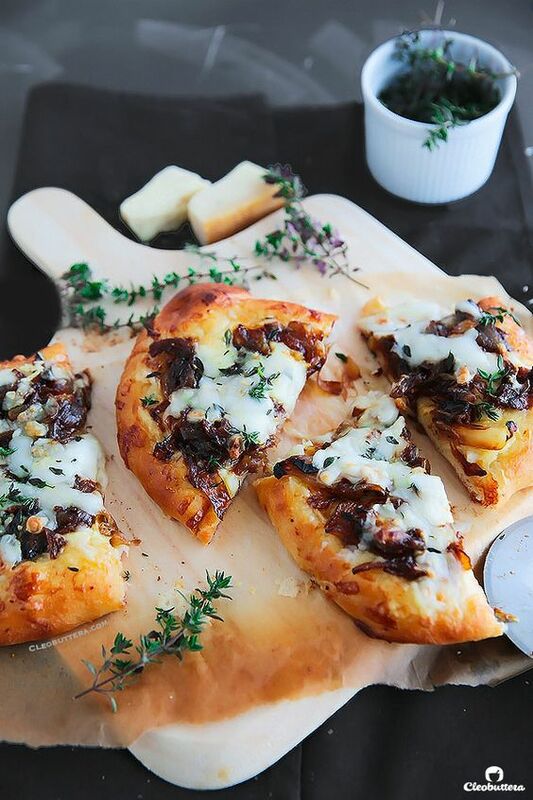 Onions: the base of so many dishes becomes the caramelised star in this French Onion Soup Flatbread. get the full recipe here! 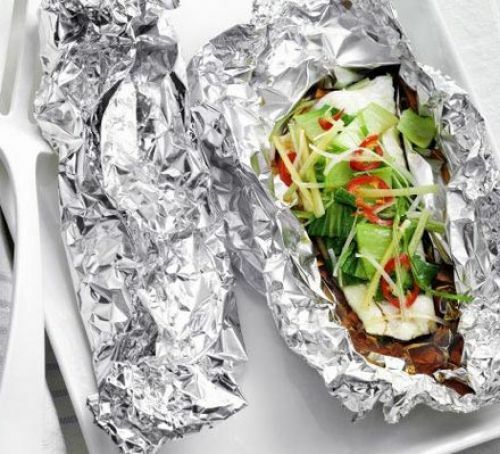 Pak Choi: this versatile green is steamed with white fish in these Steamed Fish + Pak Choi Parcels for a simple dinner. get the full recipe here! Peas: one of my all-time favourite veg, this time of year is when you can get them in their pods. 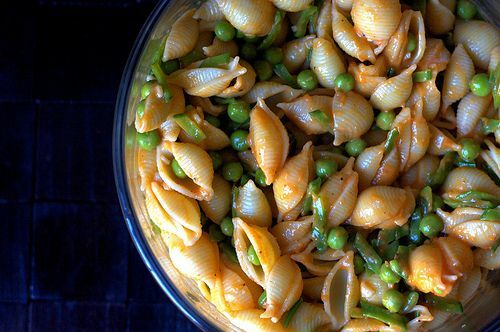 make the peas the star of the show in this Summer Pea and Roasted Red Pepper Pasta Salad. then, send me some! get the full recipe here! Peppers: we eat them all year round but right now is when they are at their sweetest. put them into this Four Cheese and Pepper Omelette and thank me later. get the full recipe here! 0n this blog, a recipe for Rigatoni with Peppers really celebrates them. get the full recipe here! 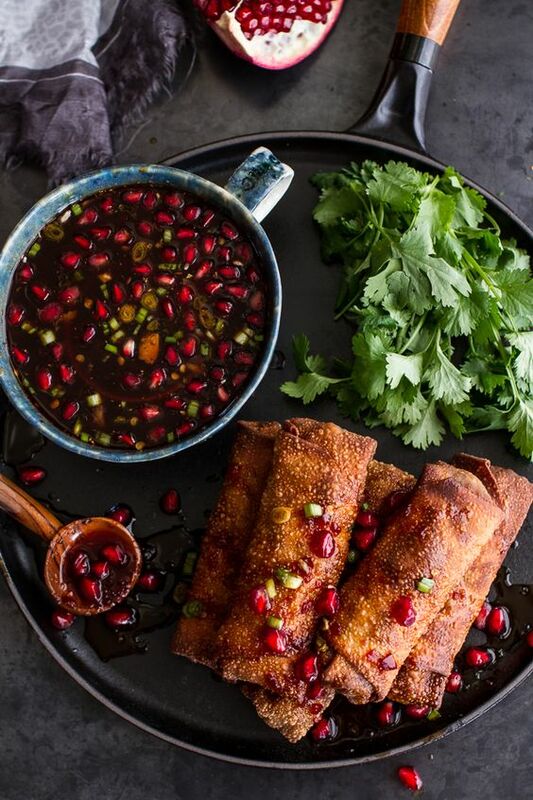 Pomegranate: we always seem to eat them in desserts but this recipe for Sweet Chilli Pomegranate Sauce will have you put them into a savoury dish. get the full recipe here! Potatoes: my favourite! I have an entire Pinterest board dedicate to the humble spud. I chose this recipe for the Best Breakfast Potatoes Ever to share with you because I know that I will definitely be baking a tray or two of these during the day in Ramadan. Then come 2AM, these along with a scrambled egg will make the best Sehri. get the full recipe here! 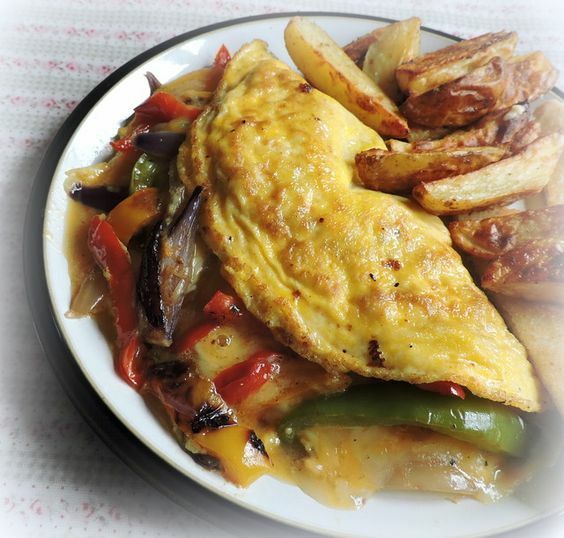 and from this blog, if I want to put the potatoes and eggs together, I have this recipe for Spicy Scrambled Eggs and Potatoes. get the full recipe here! Radicchio: first of all, look at that burger! can you believe it's vegetarian?! 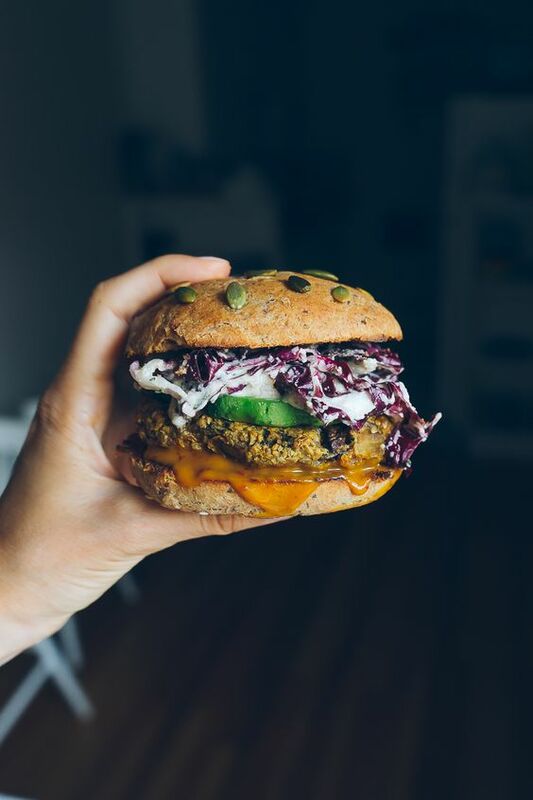 the radicchio stars in the coleslaw in this Veggie Burger with Sweet and Tangy Mustard Sauce + Radicchio Slaw. get the full recipe here! Radish: me and raw radish do not get on but there is one thing that I will eat it in - a Radish Paratha. 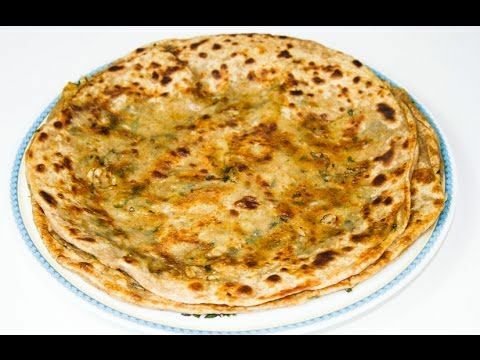 another Sehri idea if you're into parathas at that time of the day! get the full recipe here! 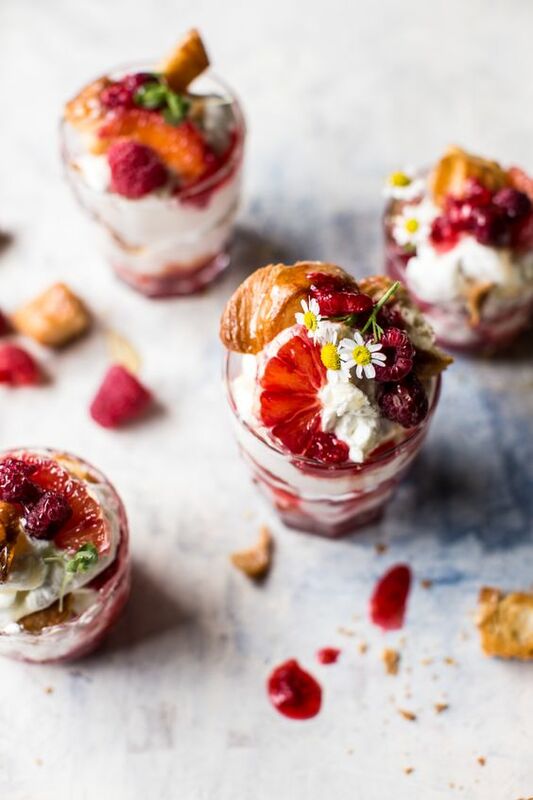 Raspberries: these guys can be a little sour on there but here crushed into a mascarpone cream and layered with mango, orange and toasted honey croissants?!! mind-blowing! I give you Raspberry Fools with Honey Butter Croissants. get the full recipe here! 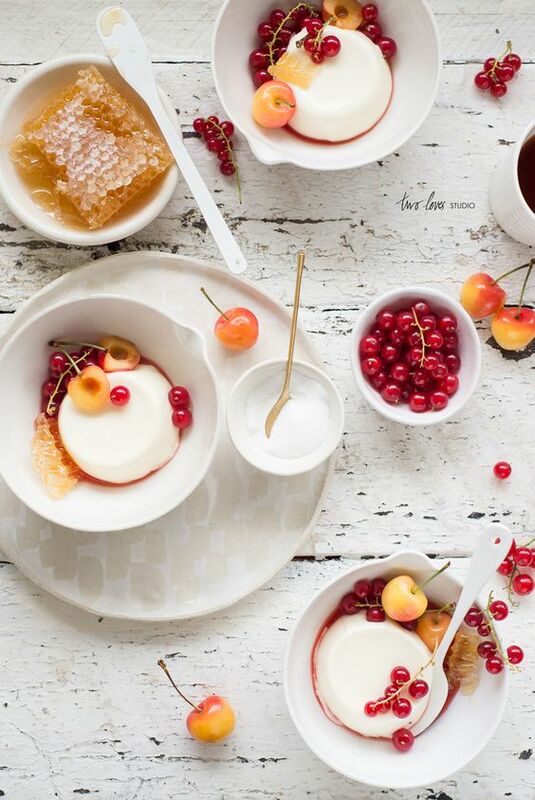 Red Currants: another in-season berry gets the beautiful treatment in these Honey Buttermilk Creams with Red Currants, Blush Cherries + Strawberry Consomme. get the full recipe here! 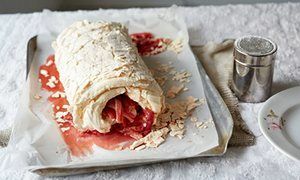 Rhubarb: those sour sticks become the sweetest things once roasted with vanilla and sugar before being rolled in a crispy marshmallow-like meringue in this Rhubarb Roulade. yes! get the full recipe here! Runner Beans: these green beans get the spicy, vegan treatment in this light Sri Lankan Runner Bean Curry. get the full recipe here! Salmon: yum! 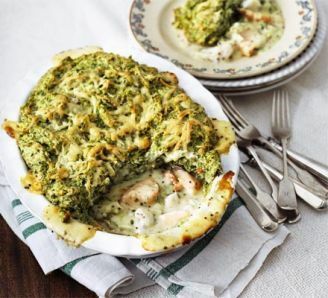 put it into a light summer pie in this Puffed Salmon and Spinach Fish Pie. get the full recipe here! from this blog, these Spicy Salmon and Potato Fishcakes are a real family favourite. get the full recipe here! Spinach: one of my favourite greens gets the Lebanese treatment in this bowl of goodness - Lebanese Style Green Lentil and Spinach Rashta Soup. get the full recipe here! 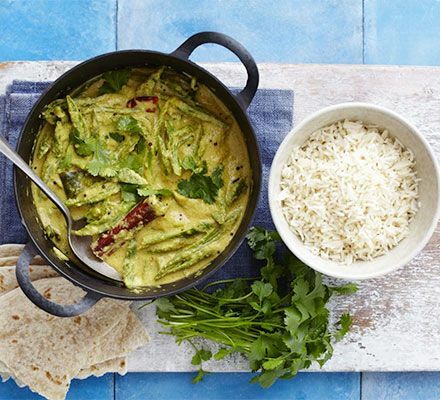 on this blog, one of the most popular curries is this one - Chicken and Spinach Curry. get the full recipe here! Spring Greens: you guys, this is my kind of food! 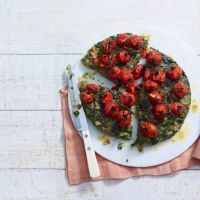 Spring Green Rosti with Roasted Tomatoes! get the full recipe here! 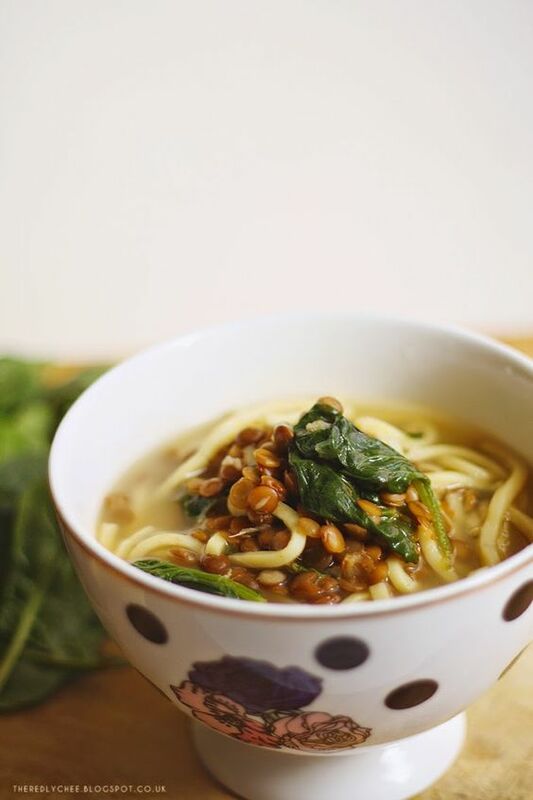 Spring Onions: these 5-minute noodles are calling me! leave out the bacon to keep these 5-minute Spring Onion Noodles halal. get the full recipe here! Strawberries: you can get them all year round in the supermarkets, but it is the summer time when they are at their sweetest. 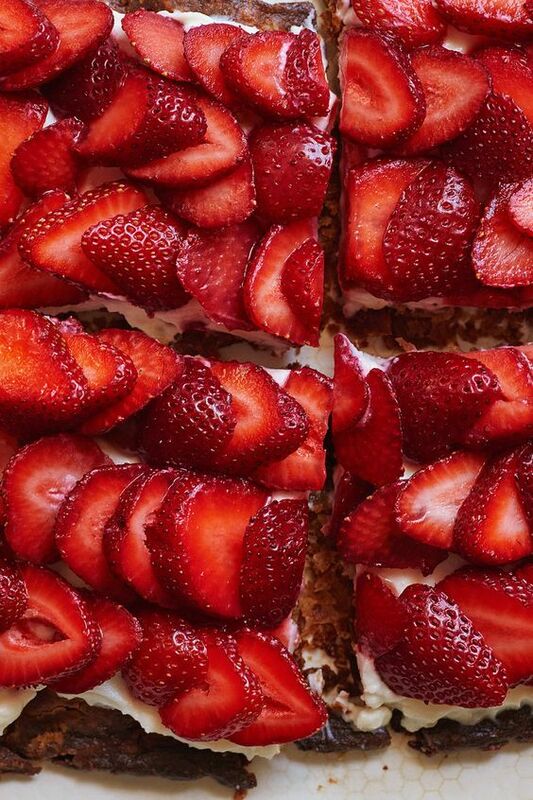 let their sweetness be the star with this Simplest Strawberry Tart. get the full recipe here! on this blog, one of my all-time favourite strawberry recipes are these Strawberry Shortcakes. get the full recipe here! Tomatoes: also, at their sweetest in the summer months. 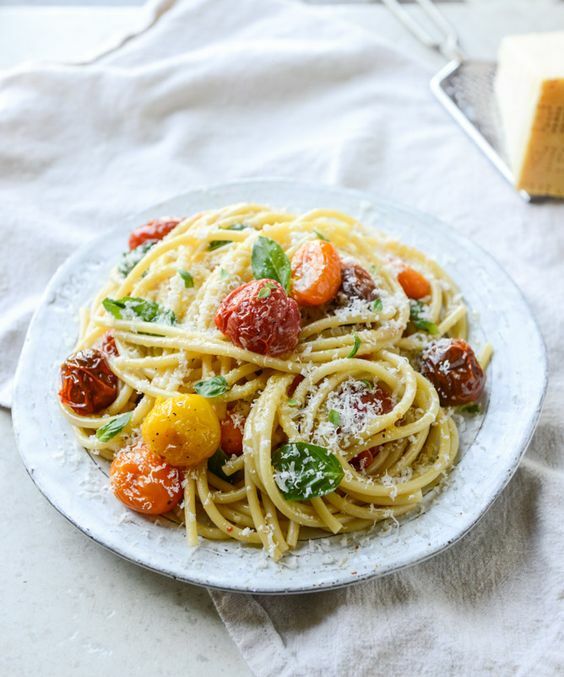 make them even sweeter by roasting them in this Roasted Garlic Butter Bucatini with Burst Cherry Tomatoes. I'm sure other pasta shapes will do and use a veggie-alternative to the Parmesan, if you're that way inclined. get the full recipe here! 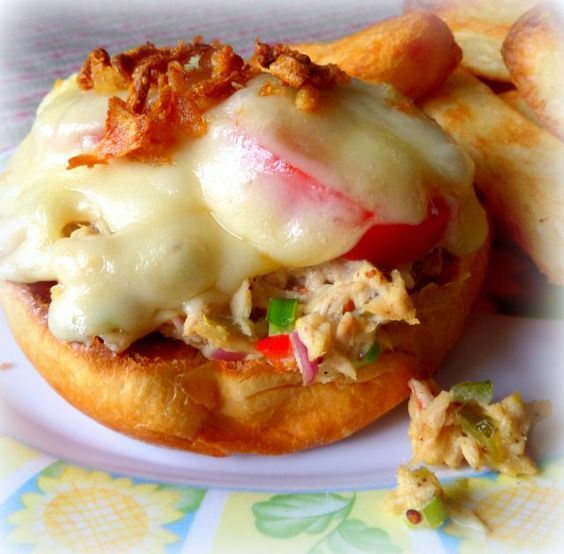 Tuna: which I always prefer canned so that's why I'm sharing this recipe for Crunchy Tuna Melts. get the full recipe here! 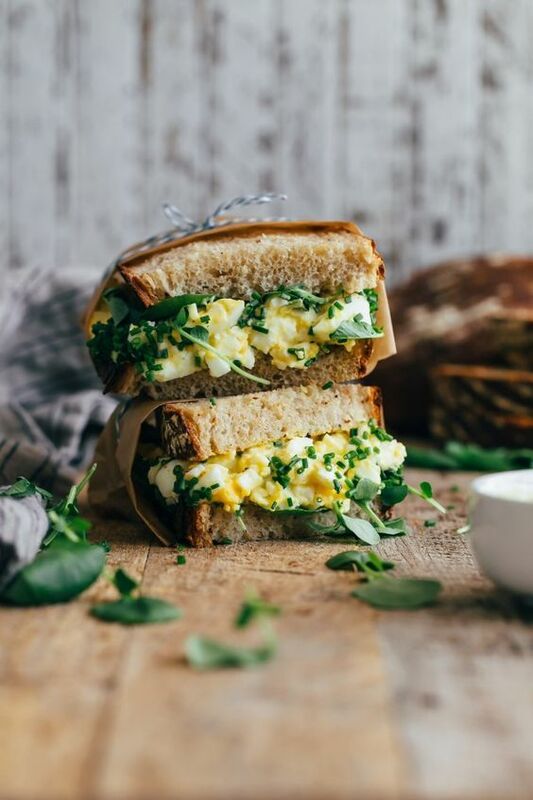 Watercress: a lunchtime staple kicked up a few notches - High Maintenance Egg Salad Sandwich. get the full recipe here! 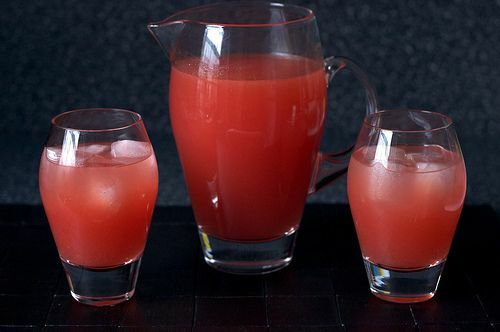 Watermelon: if you guys, like us, have been eating cold slabs of the stuff and want a change then this is it - Watermelon Lemonade. 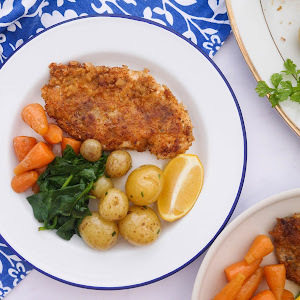 get the full recipe here! may 2016: food + favourites!